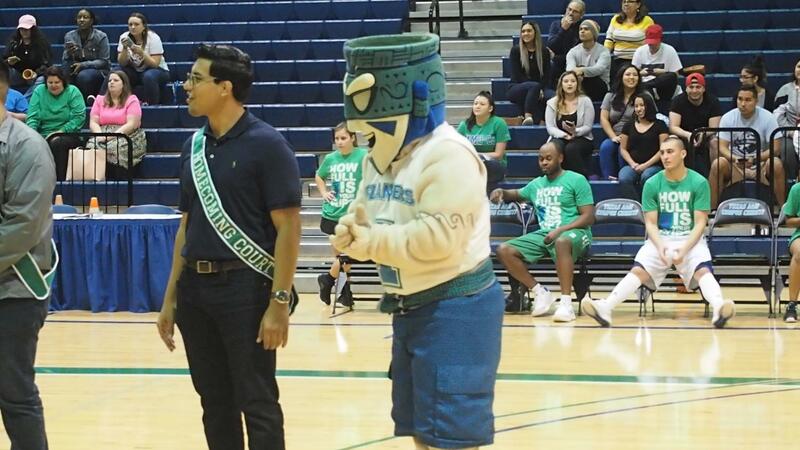 Damian Olivera, SGA and Izzy Islander cheer on the other Homecoming nominees at the Students vs Faculty basketball game. 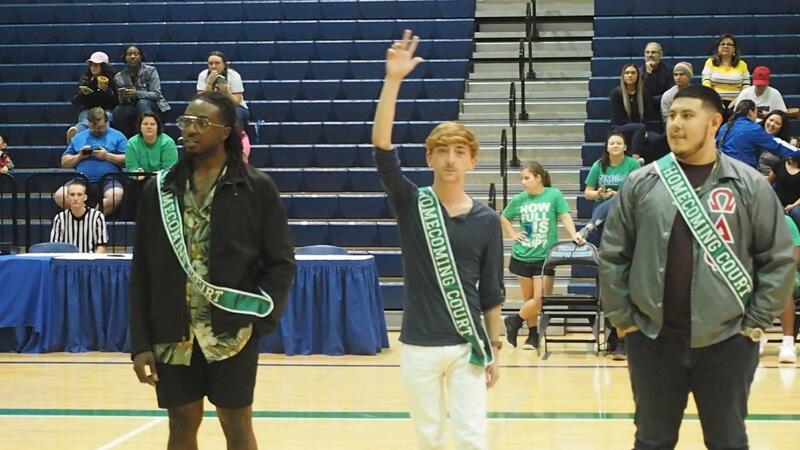 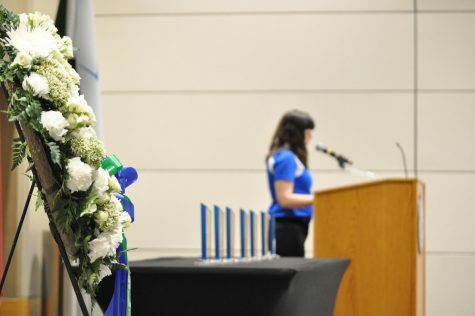 (Left to right) Seniors McAllen Waobikeze, Phi Delta Theta nominee, Kalon Melton, Alpha Sigma Pi nominee, and Ivan Zubelda, Multicultural Greek Council nominee, all greet the audience as the Homecoming court is announced. 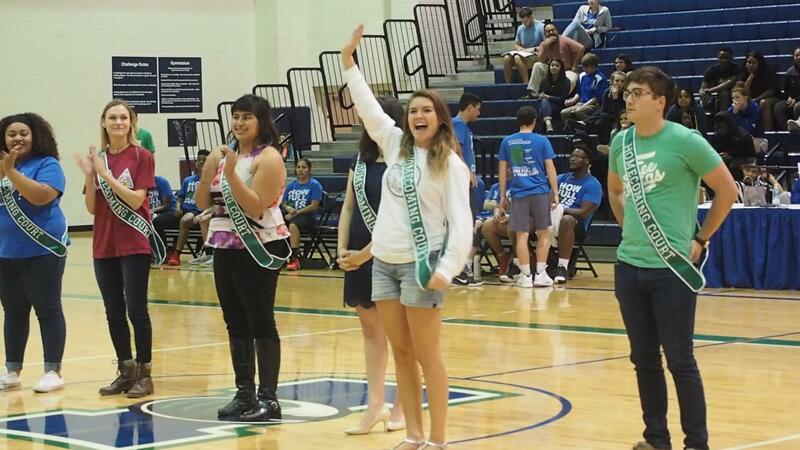 Senior Ashlynn Kolmansberger waves out to the audience.